We check over 450 stores daily and we last saw this product for $230 at Saks Fifth Avenue. From the Biography Collection. 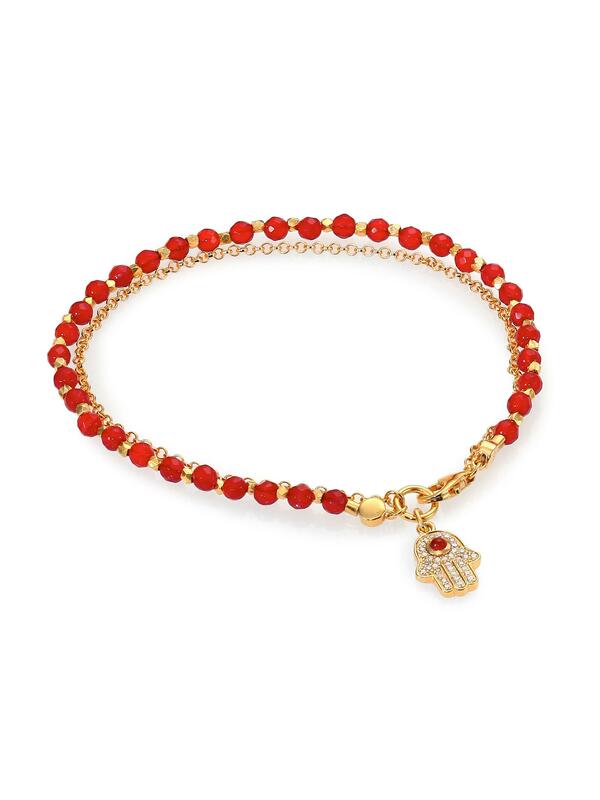 A trail cast of red agate beads, 18k gold vermeil nuggets and delicate trace chain leads to a hamsa charm in white sapphires. Red agate. Cultured white sapphires. Lapis detail at clasp. 18k gold vermeil. Length, about 6.8". Width, about 0.15". Lobster clasp.